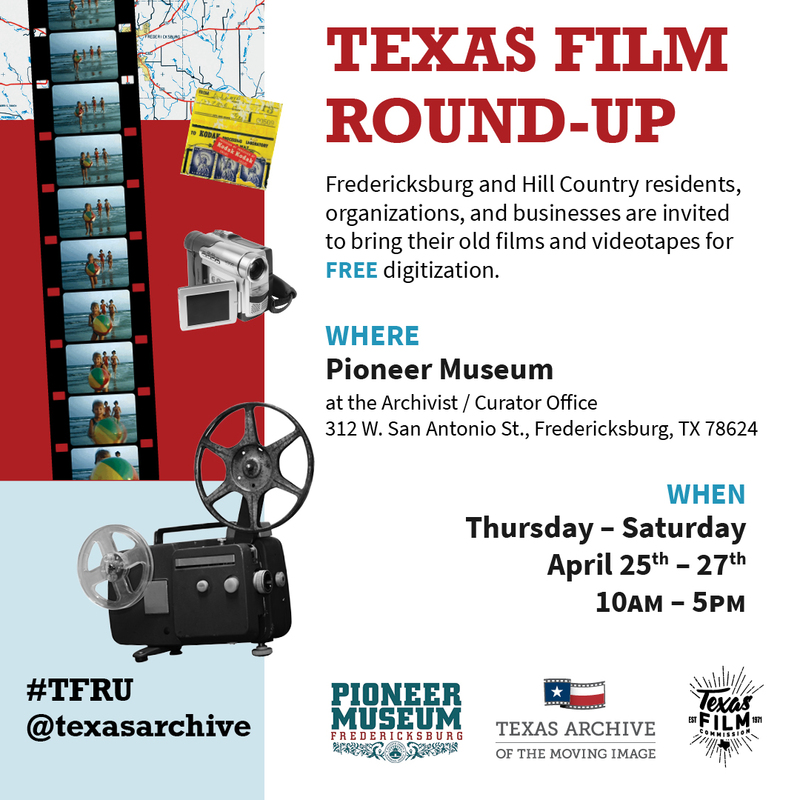 In partnership with the Texas Film Commission, Pioneer Museum, Gillespie County Historical Society, and the Hill Country Film Society, Texas Archive of the Moving Image (TAMI) will bring its award-winning Texas Film Round-Up to Fredericksburg. From Thursday, April 25 through Saturday, April 27, Fredericksburg and Hill Country residents, organizations, and businesses are invited to bring their old films and videotapes for FREE digitization. Mark your calendar and start gathering your items now!